Professor Fiadjoe is an Emeritus Professor of Public Law and a Consultant with this firm. He is a legal consultant and academician of international repute and practices particularly in the areas of Corporate Law, Comparative Law, Arbitration and Alternative Dispute Resolution. He has consulted widely for the European Union (EU), the United Nations Development Programme (UNDP), the World Bank, the Organisation of American States (OAS) and the Inter-American Development Bank, among others. Prof. Fiadjoe is also a Professor (Emeritus) of Public Law, University of the West Indies. A former Dean of the Faculty of Law in Barbados, Prof. Fiadjoe holds the degrees of LL.B (Hons.) Ghana, LL.M and PhD (London) with Certificates in Mediation, Arbitration and Rights and Obligations of the World Trade Organization from the International Law Institute (ILI), Washington DC. 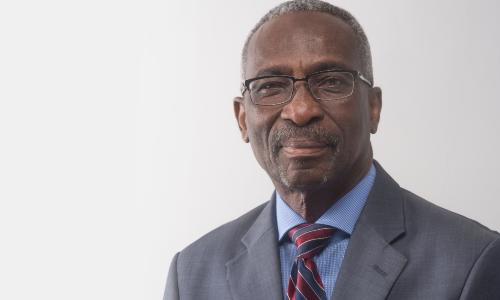 Prof. Fiadjoe’s published works include Commonwealth Caribbean Public Law and Alternative Dispute Resolution: A Developing World Perspective as well as a Biography of Justice Telford George, together with over fifty articles published in internationally refereed journals. Lead Author: The Alternative Dispute Resolution Act of Ghana Deconstructed: Providing a More Positive-Sum Approach to Conflict Resolution. Prof. has several other publications found in top international journals, Amazon and bookshops. Prof. Fiadjoe was the Chairman of the Constitution Review Commission of the Republic of Ghana 2010 to 2012 and one time Chairman of the Ghana Atomic Energy Commission. He is currently a Council Member of the Ghana Academy of Arts and Sciences of which he is a Fellow. Prof Fiadjoe is a Member of the Ghana Bar Association, the London Court of International Arbitration (LCIA), a Barrister and Solicitor of the Supreme Court of Ghana, a Notary Public and Arbitrator.